President Obama recently released his proposed budget for Fiscal Year (FY) 2014, which begins on October 1, 2013. The budget focuses on investing in the middle class, adding new jobs, and strengthening the economy while continuing to rein in the large federal deficit. The president’s plan prioritizes key LDA issues including early childhood education, career and technical education, and job training. The budget proposal, which includes $1.8 trillion of additional deficit reduction over 10 years, is focused on making America more competitive through enhancing workers’ skills. The president cites as essential to this goal a strong “foundation for success in the formative early years of life.” To meet that goal he proposes the “Preschool for All” initiative. This initiative would provide all low- and moderate-income four-year-olds with high-quality preschool and would encourage states to do the same for four-year-olds from middle-income families. The plan also promotes access to high-quality kindergarten and high-quality early childhood programs for children under age four. To pay for the program, the Administration proposes to increase the federal tax on cigarettes and other tobacco products. Highlighting another key LDA priority, the president calls for strengthening career and technical education (CTE). Schools would work with employers to better align CTE programs and focus on developing skills students will need for the 21st century workplace. Along with the changes in CTE, the budget proposes a restructuring of federal job training programs. This proposal includes creation of a Universal Displaced Worker program and testing new state and regional ideas to better deliver training and employment services. In addition, the budget includes $8 billion for a “Community College to Career Fund” to support partnerships among states, community colleges, and businesses. The president’s budget usually is released in early February, so the late entry into the conversation in April unfortunately reduces its impact. This proposal would replace the current five percent across the board sequestration cuts and address deficit reduction through tax reform, eliminating what the Administration views as wasteful spending, and some entitlement reform. This approach is more closely aligned to the Senate budget resolution; however, the president would cut less from non-defense discretionary programs over ten years than the Senate proposal. In addition, the House and Senate FY 2014 budget resolutions are quite far apart overall (See News in Brief, March 2013). Given the three proposals have different bottom lines and approaches to deficit reduction, it is likely the new fiscal year will begin again with a Continuing Resolution to keep the government operating while Congress figures out how to reconcile the numbers. 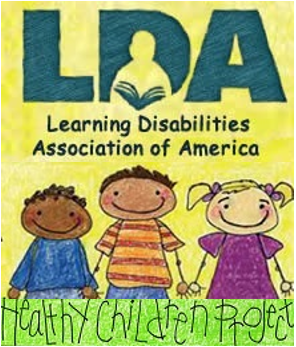 In anticipation of the next reauthorization of the Individuals with Disabilities Education Act (IDEA) which was slated to occur in 2009, the American Association of School Administrators (AASA) has begun to develop policy recommendations. AASA, the professional organization for local school superintendents and other senior school administrators, is issuing a series of reports, the first of which is Rethinking the Special Education Due Process System. The report states that changes in the current system could “greatly reduce, if not eliminate, the burdensome and often costly litigation that does not necessarily ensure measurable educational gains for special education students.” AASA offers a new model, which they hope will create dialogue on this important issue. AASA contends the current IDEA monitoring system instituted after the 2004 reauthorization and accountability under No Child Left Behind Act, including disaggregation of subgroup data and penalties for lack of subgroup improvement, have made school districts “more compliant with IDEA and more focused on improving the academic outcomes of students with disabilities.” The report suggests this higher level of compliance makes the current system, which diverts financial and human resources from focusing on the mission of improving academic outcomes for students, ripe for re-examination. AASA also states the system is “inequitable and unpopular.” The document cites a number of reports that address parent and school dissatisfaction with the system, as well as difficulties faced by low- and middle-income families in utilizing the system. Of particular interest are the results of a survey of 200 randomly selected superintendents from a cross-section of school districts describing what, if any, challenges they face in addressing due process claims. Forty-six percent of respondents indicated they “acquiesce to requests by parents that were considered unreasonable or inconsistent with IDEA less than 10% of the time.” One-fifth of respondents indicated they agreed to parental requests 51 to 75 percent of the time. Respondents also were asked to characterize the stress experienced by school staff who were involved in the hearings and litigation. Ninety-five percent classified the stress as high or very high. In addition, the survey asked about financial costs associated with hearings and litigation. 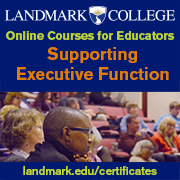 Add IEP facilitation to the list of options available to districts to resolve disputes with parents by authorizing districts to contract with a state-approved, trained IEP facilitator. If a formal due process complaint is filed by a parent, either party could request mediation. The mediation would be conducted by a trained mediator with no lawyers or advocates present. Within 21 days, the consultant would examine student evaluations, interview parents and school personnel, observe the student in school, examine the school’s services, and review the student’s academic performance. The consultant would then recommend an IEP for the student. The district and parent would be obligated to follow the consultant-designed IEP for a mutually agreed upon period of time. If either party were dissatisfied with the consultant’s IEP after a period of implementation, that party could file a lawsuit. The consultant’s notes and model IEP would be included as part of the record in any litigation. If the parent wished to pursue compensatory education or reimbursement for expenses associated with obtaining private education in the absence of the school district’s provision of a free appropriate public education, the parent could do so in court only after having attempted to find agreement with the district through the facilitation and consultancy model. The entire report is available at http://www.aasa.org/headlinecontent.aspx?id=27966&showcontent=1. There is a place to record comments, as well. LDA will be examining the report closely and monitoring this discussion. Several national groups representing school principals, school-employed mental health providers, and school resource officers recently released A Framework for Safe and Successful Schools, joint recommendations for improving school safety and access to mental services for students. 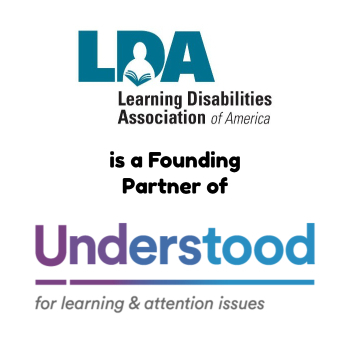 LDA has joined more than 100 national and state organizations and researchers in the field of school safety and positive behavioral supports in endorsing this important document. The author organizations Ã¢â‚¬“ American School Counseling Association (ASCA), National Association of Elementary School Principals (NAESP), National Association of School Psychologists (NASP), National Association of School Resource Officers (NASRO), National Association of Secondary School Principals (NASSP), and School Social Work Association of America (SSWAA) Ã¢â‚¬“ are calling on Congress and the White House to enact long-term school safety policies that truly support the safety and academic success of students, rather than short-term fixes in reaction to a crisis. The recommendations caution against an over-emphasis on restrictive security measures, instead focusing on improving the school climate for learning. Within the Framework, the education groups emphasize the importance of establishing policies and practices that are comprehensive, integrated, and multi-tiered and which facilitate interdisciplinary collaboration across school teams and among school and community providers. Most important, policies must be sustainable. The document supports fully integrating mental health and specialized instructional supports into the school system, noting schools are uniquely positioned to intervene early and effectively for children at risk and to work collaboratively with community providers as appropriate. Allowing blended, flexible use of funding streams to address school climate, safety, crisis response, and mental health needs more cohesively and effectively. Improving staffing ratios of school-employed mental health professionals to allow for the delivery of a full range of services and the support of effective schoolÃ¢â‚¬“community partnerships. Employing effective school discipline that promotes positive behavior. Integrating ongoing school safety and crisis and emergency preparedness and response teams, training, and planning. The full report, including a list of all signatories, is available at http://www.nasponline.org/schoolsafetyframework. Since the tragic event at Sandy Hook Elementary School, Congress has shown a bipartisan interest in acting to improve mental health services in schools and through community agencies. Recently Senator Tom Harkin (D-IA), Chairman of the Senate Health, Education, Labor and Pensions (HELP) Committee brought the Mental Health Awareness and Improvement Act (S. 689) to the committee for consideration. The bill addresses programs in the Departments of Education and Health and Human Services related to awareness, prevention, and early identification of mental health problems and looks at links to appropriate services for children and youth. The bill passed the committee on a strong bipartisan vote. Title I of S. 689, the “Achievement Through Prevention Act,” encourages schools to expand the use of positive behavioral interventions and supports and early intervening services with the goals of improving academic achievement, reducing over-identification of students with disabilities, and reducing disciplinary problems. The language clarifies that funds under Title I of the ESEA (Elementary and Secondary Education Act, currently known as No Child Left Behind) may be used for school-wide interventions and to create and update school emergency management plans. The bill reauthorizes the Garrett Lee Smith Memorial Act that looks at suicide prevention and early intervention for all youth, particularly those at high risk for suicide. The “Mental Health and Substance Use Disorder Services on Campuses” program is also reauthorized under S. 689. This law focuses on mental health services on college campuses, and additional consideration is given to the needs of veterans enrolled in postsecondary education programs. Training also figures prominently in the legislation. A grant program would be reauthorized that provides funds for teachers, appropriate school personnel, emergency personnel, and others to receive training in recognizing signs and symptoms of mental illness and in learning how to safely deescalate crisis situations involving individuals with mental illness. Other initiatives in the Mental Health Awareness and Improvement Act include the reauthorization of the National Child Traumatic Stress Initiative (NCTSI), supporting a national network of child trauma centers that collect and analyze data to provide training and inform evidence-based treatments and services. The legislation calls for a government report on the utilization of mental health services for children, including information about how children access care and referrals, tools and assessments available for children, and the usage of psychotropic medications. The bill also encourages the Secretary of Health and Human Services to disseminate information and provide technical assistance on evidence-based practices for mental health and substance use disorders in older adults. S. 689 now awaits action on the Senate floor. At this time the House has not considered similar legislation, although several House members have introduced smaller bills looking at mental health services.